THE MAIN MARKET SQUARE - it’s the biggest medieval square in Europe measuring 200 m by 200 m and can easily compete with Venice’s Piazza San Marco. A lot of people say it’s even more beautiful. Once you have seen it, you’ll always want to return and walk around. This place will enchant you fully. Spend there as much time as you can taking pictures from every corner of the square, also at night. 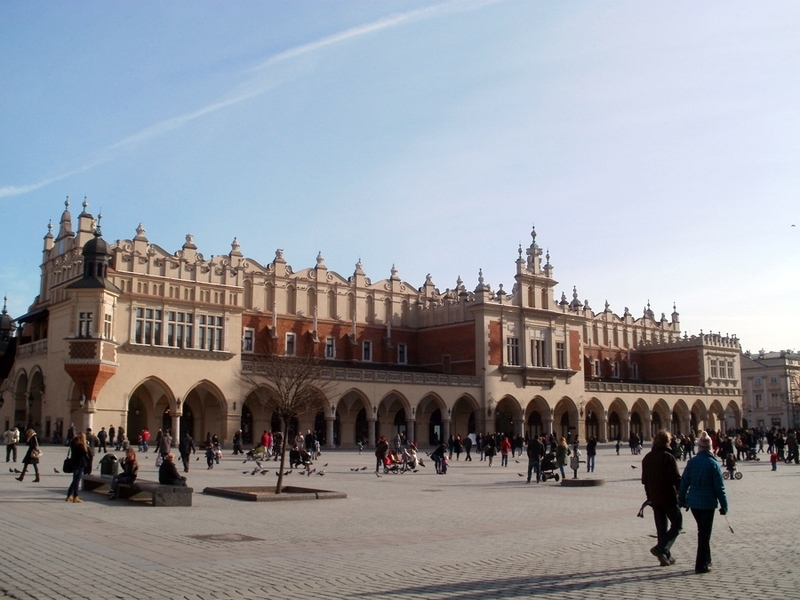 SUKIENNICE - it’s the Cloth Hall standing in the middle of the Market Square. Originally built in the 13th century, rebuilt after the fire in the middle of the 16th century and this version you will see. Crowned with an exceptional attic which you can admire even closer now as there is a café at the top floor of Sukiennice. Drink a cup of coffee and take magnificent pictures of the Market Square. Later you can go downstairs to buy some souvenirs at one of the many stalls selling handmade goods, jewellery with the amber and the folklore clothes. 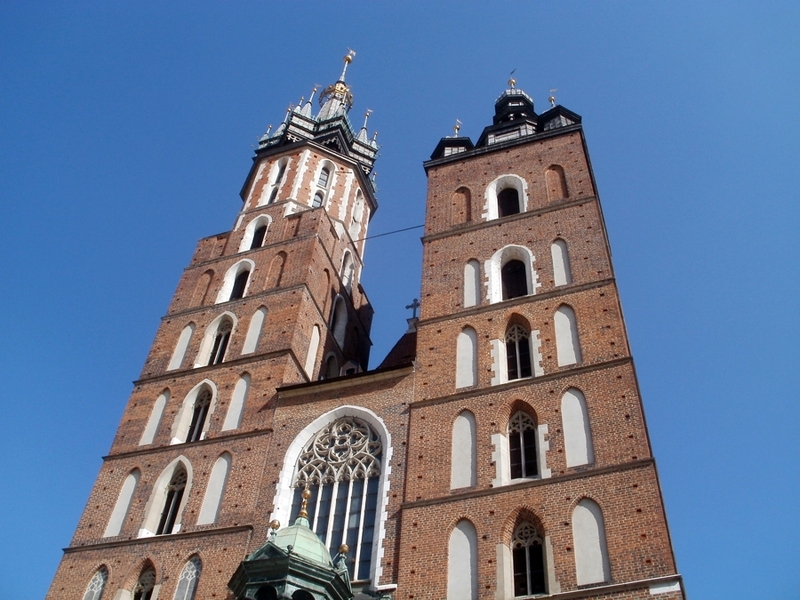 ST. MARY’S (MARIACKI) CHURCH - the main church of the medieval Cracow of which the citizens were so proud. And they had a good reason to be. See this outstanding Gothic church with an amazing Veit Stoss’s altar which is the biggest wooden Gothic altar in the world. It’s opened at 11.50 and closed at 5.50 pm on weekdays. Don’t miss it. And of course you must listen to the bugle played every hour day and night from the taller tower of the church. If you see the trumpeter waving to you, it will bring you good luck! TOWN HALL TOWER - the only part left of the medieval town hall from the 14th century. It’s 70 m tall and leans 1,5 m off the vertical direction. 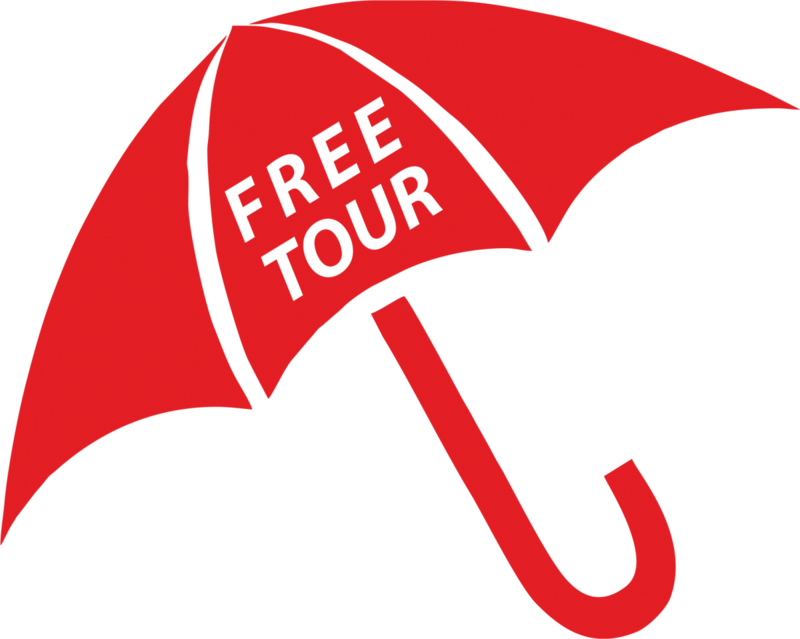 But don’t be afraid, go inside, take over 100 steps up and admire the views of the Old Town from the bird’s point of view. BARBICAN - only a few similar fortifications have survived to our times in the whole Europe. Built at the end of the 15th century to provide an extra protection to the city gates, once it was surrounded by a wide moat. You can see such structures only in Cracow and Carcassone, France. 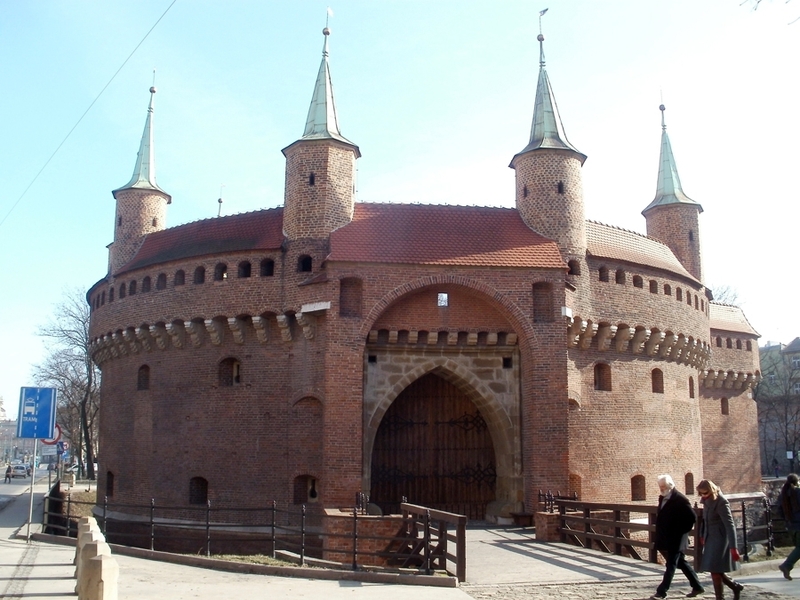 THE FLORIAN GATE AND THE REMNANTS OF THE CITY WALLS - it used to be the main entrance to the city by which kings and queens entered Cracow during exceptional events – weddings, funerals and victories after battles. There are also remnants of the city walls which were demolished in the first half of the 19th century. THE ROYAL WAY - the way of kings, queens and important people coming to Cracow. 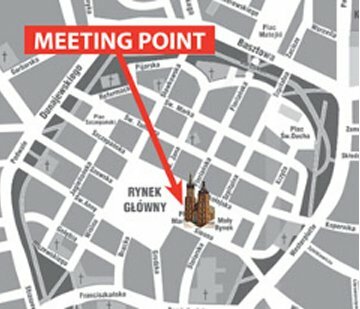 It starts at the Florian Gate and ends at the Wawel Hill. Walk it all along. You will follow the most beautiful streets of the city: Floriańska Street, Grodzka Street and Kanonicza Street. Take a lot of pictures at day and night. ST. ADALBERT’S CHURCH - a building that shouldn’t stand at its place according to the medieval art of designing the main markets. 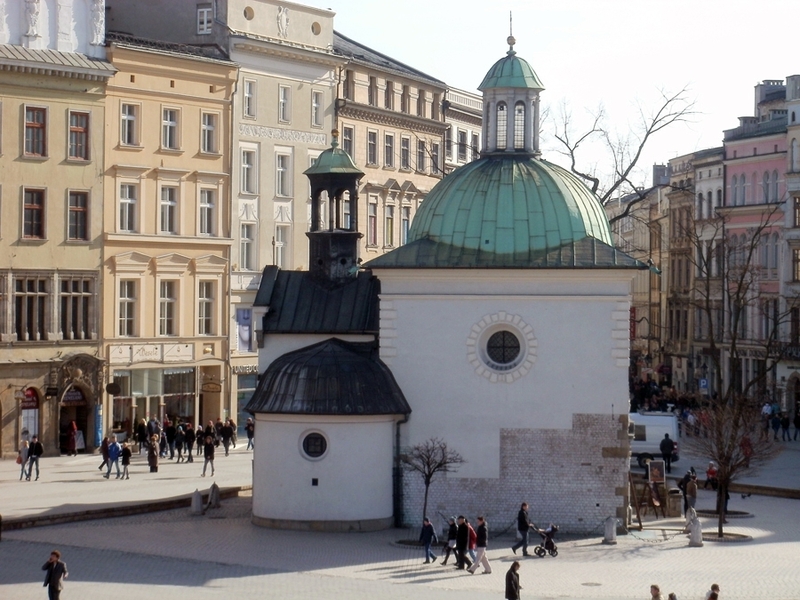 It’s a proof that Cracow was an important dwelling place before the official location in 1257. You can see a Baroque version of the church now, although there are also Romanesque parts of the walls. The entrance leads you down which shows where the level of the Market Square was in the medieval times. 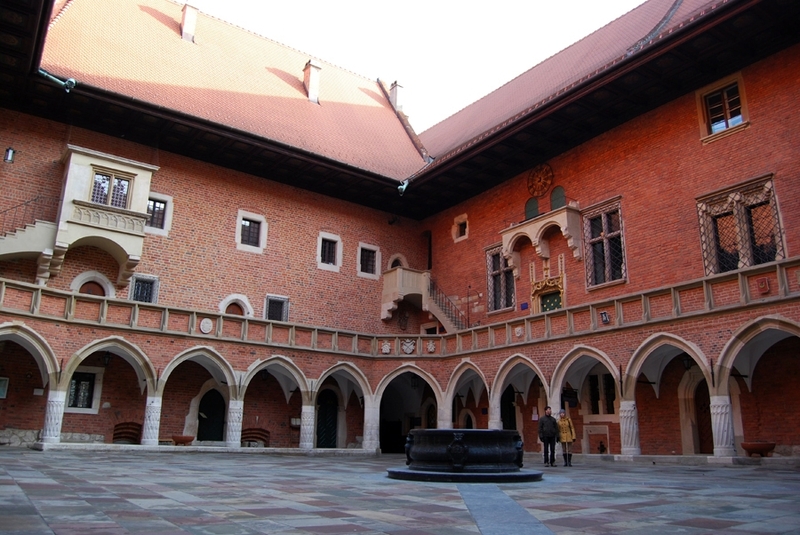 COLLEGIUM MAIUS - the oldest building of the Jagiellonian University which was established in 1364. This building has been used since 1400 and the 15th century arcaded courtyard is one of the most magical places in Cracow. 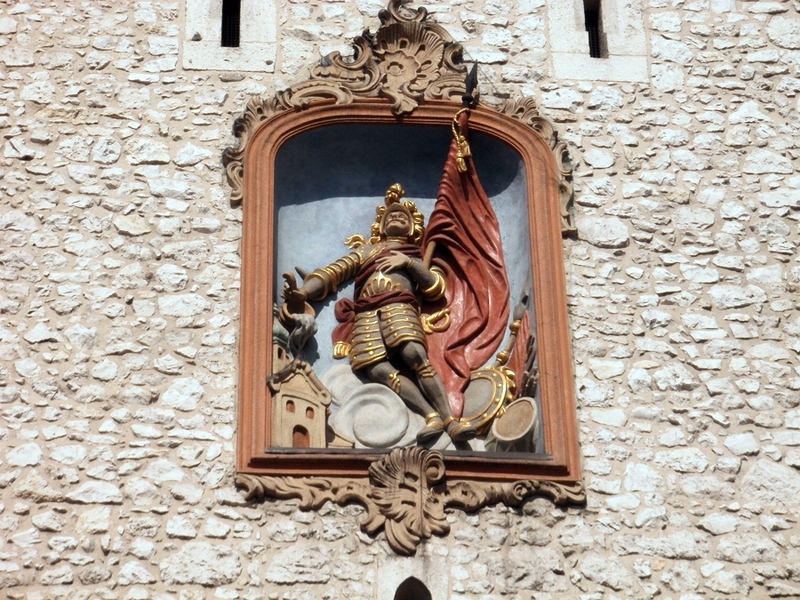 There is also a musical clock with figures appearing to the sound of Gaudeamus tune considered to be the students’ anthem. 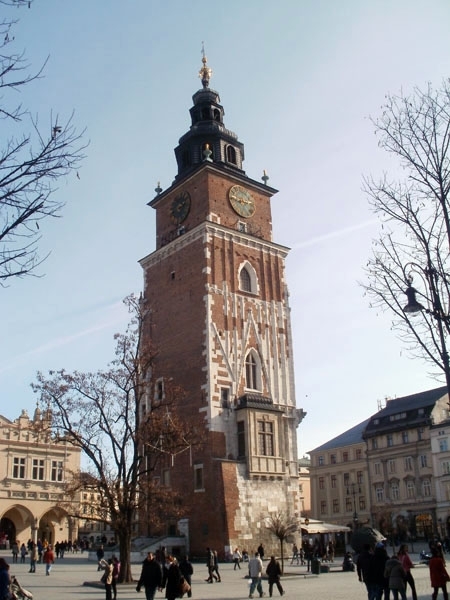 THE WAWEL HILL - the heart of Cracow, the place where Polish kings and queens lived and ruled. See the Royal Castle from outside and especially enter the Renaissance inner arcaded courtyard modelled on Italian patterns. It’s huge and it will surely impress you. It’s a favourite place for wedding pictures. Although you may skip visiting the inside of the castle, don’t miss the chance to enter the Wawel Cathedral. The building may seem to be an incoherent mixture of different styles but it’s all original and is a real certificate of the Polish history. Go to the walls surrounding the Wawel Hill and spend a while looking at magnificent views of the Vistula River, the city and Kościuszko Mound. 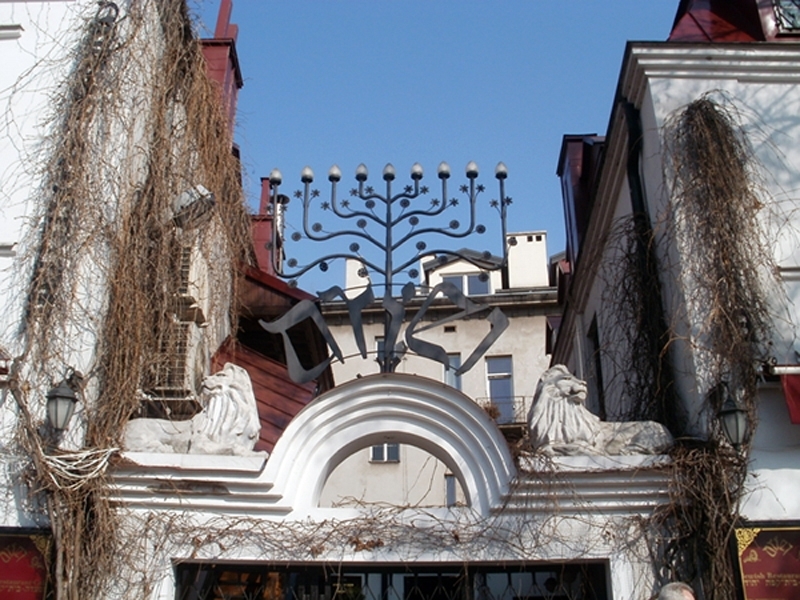 KAZIMIERZ - the former Jewish district with 7 synagogues, full of charming sites, pubs and restaurants where a lot of Cracovians spend their Friday and Saturday nights. There is also the Christian part with 4 churches and boulevards to walk along the Vistula River.